Hey everyone! Today I share the mic with Dennis Fong, CEO of Plays.tv, a social video platform for gamers that allows you to record games, make awesome videos, and share them with friends. Use the power of social media to popularize your business and attract customers in its initial stages. Respond to and remedy a screwup right away in order to improve your customer relationships. A compassionate approach results in loyal, happy and more successful employees. The Mindbody Prescription: Healing the Body, Healing the Pain by John E. Sarno, M.D. 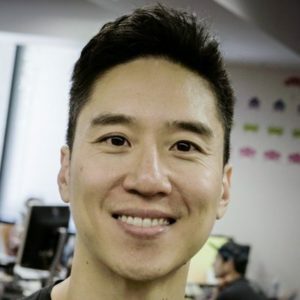 Eric Siu : So, this question is probably the most relevant to you because I've never seen anybody go, well I mean besides myself, playing a ton of games in the past, but how does one go from gamer to entrepreneur? Dennis Fong: Well, one thing that gaming did for me personally, was it got me into technology and tech in general. Especially back in those days you really had to learn the ins and outs of networking and technology and IT just to be able to play games with one another. Eric Siu : And to run video card too. Dennis Fong: Yeah. I mean you had to upgrade your PC constantly. You had to figure out how to connect, at the time it was modems, and how to ... I mean it was just a whole bunch of stuff that you had to learn along the way just to play games. So that's kind of number one. Number two, I think the top gamers that I've met, many of whom are my friends, are incredibly competitive. Much like athletes. So I think the competitiveness and the drive and relentless pursuit of winning applies to all facets of life. Not just games. And then number three, I think to be the best in anything really, whether it's a game or sport or anything else, requires ... there's some part of your brain ... there's some kind of part of your brain that works naturally that gives you some competitive edge. And for me personally, it's my ability to see things through other people's eyes without having to spend really mental energy to do so. So I can basically ... When I was playing games I could literally predict what other people were doing before they even realized they want them to do it. And they had coined a term around that called Thresh ESP. They called me the most intelligent player. So that's just the way my brain naturally works. So you can apply that to business, whether it's marketing and you're trying to put yourself in the eyes of your users or business development or partnerships where you're trying to put yourself in the eyes of your partner. It's a pretty useful skill all around. Eric Siu : Love it. Yeah, I think we can narrow down on gaming all right, but I do want to talk about your newest venture, Plays.tv. So, what is Plays.tv and how do you guys make money? Dennis Fong: So Plays.tv, it's a video recording app for gamers and uniquely it's also the only video recording app that helps you get better as a player. So not only does it record what you do when you play, but it actually can figure out all your kills, deaths, assists. All of the key moments while you're playing. We basically generate a visual timeline of your match and then have bookmarks created and highlights created around every key moment. So let's just say you got a triple kill while playing CS:GO, instead of having to dig through an hour-long video file, when you come out of the match you can find it in two seconds. But more importantly from a self-improvement perspective, if you die, you screw up and you're like, "Oh, man. How did I die? What did I do wrong?" You can go back and look at that replay and find that moment instantly and watch it instantly from your perspective. And the cool thing is that unlike a traditional replay, which breaks after every match and it doesn't record your actual point of view. Meaning what we're recording is actual video of you playing from your perspective. So you see the Fog of War. You can hear the end game communications. You can see where your mouse was clicking. There's a whole bunch of things there as a gamer where it's fundamentally way more useful than an in-game replay. But really ultimately the core of the service is kind of like Instagram for gamers. So it's a social and video platform for you to both share cool stuff that you did, as well as watch cool stuff that other people are doing. Eric Siu : Got it. I mean part of it ... Well, you just mentioned kind of Instagram for gamers, but I was thinking gamer, almost video analytics because you guys are zooming into points where key things happen. So my question around that point is you mentioned okay, first-person shooters, but does this apply to like a League of Legends as well? Does it apply to multiple games or is it just first-person shooters? Dennis Fong: Oh, yeah. It's all games. So we have everything from League and DotA, to Rocket League and Overwatch and Counter-Strike. It's pretty broad. It's not actually a ... I wouldn't think of it as a coaching and analytics platform. It just happens to be one of the core features of our app that people love. Eric Siu : Great. Okay. And how do you guys make money? Dennis Fong: We haven't actually started monetizing it yet, but we plan to introduce premium features. We have millions and millions of people that already use the product and service monthly. And we have creators that have pretty big followings. We have guys that have hundreds of thousands of followers on Plays.tv. So we want to give them a way to monetize their audience as well. So we're probably going to introduce advertising, video advertising, as well as things like tip jars and donations and that kind of stuff. Eric Siu : Nice. How many millions of users right now? Dennis Fong: I think the last number we announced was north of 10. Eric Siu : Okay. Got it. Let me know when advertising is on. Great. I mean for you guys ... I mean I always ask the question to people, how did you go about acquiring, let's say. Because you guys already have 10 million or so. I mean how did you go about acquiring your first 100,000 users? Dennis Fong: So I mean we had some unique advantages. A, because of my history in the space it's relatively easy for me to get some people to try it and to get something good PR around it. When what The Wall Street Journal calls the Michael Jordan of video games launches something in video gaming, we're gonna get something decent press around it. We leveraged my network. So a lot of the top pro-gaming, or eSports teams, the owners, as well as the players, are friends of mine, people that I've helped mentor or still continue to give advice to. So these guys are now the real rock stars of eSports and the new generation of stars. So getting them to try it and thankfully they all liked it. And once they started using it and sharing clips and tweeting about it, that made the start pretty easy for us. Eric Siu : Got it. Okay. I mean so five business ventures that you had already. I mean it sounds like you're hit rate is 100%, right? I mean you succeeded at all of them? Eric Siu : Okay. So that's something I want to come back to later, because that definitely comes back to your gaming background. Okay, so you talked about leveraging your brand for the first 100,000. People are like, "Oh, that's great. I probably can't do that." So, what is the most effective thing that's working for you in terms of customer acquisition now a days? Dennis Fong: I mean a lot of it I think depends on the business and industry that you're in. At first, you have to ... The challenge for us was we are a ... Ultimately, think of the app as a user-generated content engine. People download the app to record themselves playing and doing cool stuff and then they share that content elsewhere. So I think where we found also a lot of early users was on places like Facebook and Twitter and Reddit. Where people actually were sharing their own clips, self-promoting, and when those clips blew up they'd watch it on Plays.tv and then they find out about Plays.tv through that. So I think for most enterprise and consumer businesses these days leveraging social channels, which are typically free, is a great place to start. Eric Siu : Got it. So what I'm hearing is referral marketing and then word of mouth. That works out well for you guys, obviously. Dennis Fong: Well, I think historically at least in all the companies that I've started, the best marketer is always your customer, which means listening to your customer. Listening to user feedback and using every opportunity to build a stronger relationship with your user slash customer. You know often times actually, and I think this is something that a lot of people don't realize, is sometimes when you screw up really big, it's actually the best opportunity to build a better relationship with your customer. Dennis Fong: A lot of people freak out when something bad happens or you screw up and a customer suffers for it. Eric Siu : Do you have an example of that? Dennis Fong: Yeah. This happened plenty of times, whether it's at Lithium, which is dealing with enterprise customers or even at Plays.tv where let's just say there's a crash or a server goes down or there's a bug and they're very upset by it. At least in the Lithium world where we're dealing with enterprise customers, you don't often get to chat with the Senior VP of Marketing or the Chief Marketing Officer at a really big Fortune 500 company. But let's just say our servers down and it caused a whole bunch of their customers that we were servicing to not be able to accomplish what they wanted to accomplish. They're pissed. Then the CMO, SVP of Marketing is pissed and they call us. That's what I mean. It's like yeah, they're going to be pissed off initially, but how you respond to that and how you will follow-up and remedy that situation can often times make them actually feel better about you at the end of the day. Otherwise, they don't really care about what you're doing that much. You're just a service provider. So at Plays.tv we have similar things where we screw up, our service goes down. A user encounters a bug and they're complaining about us on Twitter and we actually reach out to them and we actually talk to them. We have a conversation with them. We find out what's wrong. We fix it and then we follow-up with them afterward and make sure they're cool and we basically have flipped someone from being a hater to an advocate, a brand advocate, which is huge. So that's what I mean. There's a lot of opportunities there to convert customers into advocates. Eric Siu : Got it. Yep, makes total sense. The one question I usually ask people is to tell us about one big struggle you faced while growing their business. But here's the thing, you've actually had five different ventures. So what's the most memorable struggle that you can recall? So you've talked about server issues, things like that, but what's another big struggle that really sticks out for you? Dennis Fong: I mean I think the things that I feel impact me most, at every company that I've started, are always people things. People issues. I think in the early days my first company, I was running a company of 130 employees and I was 21. So CEO of 135 employees and I had very little clue about what I was doing. So I remember back in those days the things that would stress me out would be a VP or director or any employee coming up to me and telling me about their family issues, or personal issues, and whether we could help them out as a company. Because at the time I was just not mentally equipped to handle ... I didn't really know how to handle that kind of situation. And then later in the life of my first company we had to go through layoffs, who are obviously really tough as well. But I would say on a regular basis almost everything else it's pretty is for me to roll with. But when you're dealing with people and people issues, when they're completely unrelated to the company, but they're part of our family effectively. And struggling to find a way to help them is super tough. As an example, there's someone who's been with the company for a long time and they have medical bills piling up, but you have to lay them off. What do you do? Or like maybe their medical issues, their medical health, is impacting their work and has been impacting their work significantly, do you let them go or not? Those are the kind of things that keep me up at night. Eric Siu : Got it. So, what is your general ... I'm sure you have some processes around this now, in terms of kind of the order that you follow. So what do you do in this situation now? Let's say I come to you. I say, "Dennis, man, I've got issues. I can't work for two months." What happens? Dennis Fong: I mean that's actually pretty straightforward. I mean I've had peoples that I've worked with who their doctor tells them they have a year or two years to live. They have brain issues or whatever and it impacts their emotional state. It impacts their physical state, which impacts all the people around them. But you know if you let them go they're going to be without health insurance. So what do you do? Their work is suffering. They're impacting negatively the people around them. They can't really help it because it's a health issue. You want to help them out. So those are the kind of things that are actually difficult and it's really just a case by case basis. Eric Siu : I'm assuming, from the sound of it, it sounds like you do actually end up helping them out. Dennis Fong: We try. I mean we definitely go above and beyond, sure, because life is too short. Eric Siu : Yeah. I think the thing that we can agree on, David and I talk about this with other entrepreneurs all the time, is just hiring and having great people is the most important thing. It seems like with five other ventures you would agree with that. So what are some other key lessons that you've learned from going through these five companies and also being a world champion gamer? Dennis Fong: I would say one of the biggest learning experiences that I've had is that ... So basically the way that I competed as a gamer is not necessarily the best way. You can't apply that competitiveness and ruthlessness to building a company. And I believed that you could early on in my career and I've learned along the way that you can't. So compassion is actually more important. So what I mean is I used to just think I'm going to drag you over the finish line if I have to and if you're struggling to find the right answer, I'll just give you the answer. And what I learned is that people don't grow if you're consistently just giving them the right answer. Eric Siu : Because they rely on you. Dennis Fong: Yeah, they become reliant. I think for any business, and for any person that works at a company, I think the most valuable thing they could take away from any company at the time that they spend there is growth, personal growth. How can they grow their skills? How can they grow professionally? Personally? And that means that you have to let people make mistakes. That means that you have to mentor them and teach them in a compassionate way. Not just tell them what to do. You kind of have to let them make mistakes, which takes a lot longer. Yeah, it takes a lot longer. It's going to take you, initially at least, 30%, 40% longer for them to get the job done. Eric Siu : Especially with sales people. Dennis Fong: Yeah. And you have to let them make those mistakes, but in the long run A, they're gonna be more loyal. B, they're gonna be a lot happier. C, they're gonna be way more successful for you in the long term. Yeah, it took 40% longer the first time. The second time it takes 20% longer. The third time it's about the same and then from then on they're doing things way, way faster and growing as an individual and within your org because you're giving them the room to grow. Eric Siu : I mean when you say compassion, it almost sounds like you got a lot more patient as the years wore on. Dennis Fong: Oh, yeah. For sure. A 100%. And I'm still learning. I'm still learning to be more compassionate. If you haven't watched Jeff Weiner's talk, from LinkedIn, about compassionate management, that was a big inspiration for me because it rang right through to my own personal experiences. Eric Siu : You know what, one thing I want to know and that actually rings really true with me, because having a gaming background too, yeah I want to drag people over the finish line or I just want to kill everything. Especially if you're a first-person shooter or first-person gamer. But the other thing that I'm wondering too, because it seems that you seem to succeed with everything that you touch, how do you generally structure your day and what habits propel you forward? Eric Siu : What time is that? Dennis Fong: I'll wake up probably around six. But I mean I think in general I try to get a lot of stuff done in the morning. Just for me personally, I feel like I think I have a tendency to ... I would say I hate the small details. Just personally it's one thing I just can't stand. And if they pile up ... This is what I've just found. If I let them pile up too much, I never get around to them. So as a habit I try to get the little stuff done sooner so that I don't get to that point. That's just my own personal thing. I hate getting into the minutia of things. Eric Siu : Got it. Okay. Makes sense. Okay, so you get a lot of stuff done in the morning. You don't like dealing with the minutia. Maybe the little details. What else do you do as well because I always ask other people, what else do you do? Do you journal? Do you meditate? Do you eat some crazy diet? What are some cheap codes or hacks that you have? Dennis Fong: To be honest I don't know if I have any. I mean I try to stay in shape, which helps you keep mentally ... I think it's not just physical, it's mental. I think having some semblance of work-life balance is pretty important. Eric Siu : Do you really believe that though? Coming from a gaming background. Dennis Fong: So, it's funny because gaming to me it's part of my release. So just because I work in gaming ... People think that when you have a gaming related company it's so awesome because all you do is play games all day, which is furthest from the truth. But I still love playing games. I'm still very competitive. Like the games that I play I'm still incredibly competitive. It's ingrained in me. So a game that I play is Clash Royale. I strength comp 100 globally in that game. It's just like any game that I play, I play very seriously. Eric Siu : I feel you. Cool. All right a couple more questions. We're working towards wrapping up here. What's one new tool that you've added in the last year that's added a lot of value for you? So, for example, it could be Evernote. Dennis Fong: There's one that I think we're still seeing the benefits from it. Well, it's a tool called Small Improvements, which is what we use at the company to manage ... It's kind of like a ... I don't know how to best describe it. It's just a way to do one on ones and set goals and objectives and stuff for people, which [inaudible 00:25:33] the company. I don't even think the tool necessarily is the best tool out of that class of tools, but it's the first time I've adopted one of these tools over the past, I don't know, seven, eight years. And I'm finding it to be a super awesome and easy way to help structure the one on one meetings and help drive this compassionate management and growth that I spoke about earlier. Eric Siu : You know what's funny, so we use 15Five, it's another one of those tools. But it's basically like when you look at it you have a dashboard and it's managing the whole process. This in itself becomes a game, right? Eric Siu : So every game is verified. Yeah. Dennis Fong: No, that's what I mean. Just having little bit of structure there I think is really helpful for both the managers and employees and team members. We're still learning how to best use it, but I'm a big fan of at least these types of tools, which are really inexpensive. Get a lot of mileage out of it. Eric Siu : Totally agree. Yeah, there's the one on ones. The OKRs. All that kind of stuff. So I'll take a look at this, but we use ours. I'll probably drive my ops guy crazy if I add another tool. Dennis Fong: Yeah, that's what I said. There's a whole bunch that are all very similar. I'm not saying this one's the best one. It just happened to be the one that we decided to try first and we just stuck with it. Eric Siu : What's one must read book that you'd recommend to everyone? Eric Siu : It could be business. It could be fiction. Dennis Fong: Well, I mean the one that I read pretty recently, over the past few years, is Sapiens. Sapiens was awesome. I thought it was ... Just fundamentally you learn so much about human history and even like the politics and the situation that we're in today, from it. I thought that was really good. And then the other one that actually ... There's one that actually changed my life, believe it or not. It's gonna sound weird. So because I used to play games all day or very often, especially when I was a pro-gamer, I was afflicted with carpal tunnel pretty bad for most of my adult life. Eric Siu : Can you explain what that is again? Because as a gamer I've always wondered about that, but I've never gotten it. So what is that again just for everyone too? Dennis Fong: It's repetitive stress injury. So our bodies were not made to sit at a computer desk all day staring at a monitor, hunched over, and using the mouse and keyboard 12 hours a day. So I got repetitive stress injury and then it became carpal tunnel where it became painful just to move my wrist, basically, and the pain would shoot all the way up to my shoulders. And I had this basically since ... I mean that was one of the reasons why I retired as a gamer. And then I've had it basically all the way since I was, call it 18. I'm 40 now. I mean I've tried everything. I've tried acupuncture, massages multiple times a week. It impacted my neck and shoulders and back and stuff as well. Anyway. So to cut a long story short, I tried everything and nothing worked. And then I read this book called The Mindbody Prescription. It's gonna sound really hokey because I'm the last person to believe in something like this. I'll give you the one second, the one-minute synopsis, which is that your mind and body ... the premise of the book is that your mind and body are actually connected. And that a lot of repetitive stress injuries, whether it's neck pain, body pain, etc., are actually a manifestation of some internal strife. Yeah, yeah. We all have internal stuff that drive ... Some of this stuff drives us. The idea behind it was that there's a whole part of your system of your body that's autonomous. Like your immune system. Like blushing. You can't make yourself blush on purpose. So what is blushing? You're body's reacting to some emotional state of yours. And the high-level people understand that when you're super stressed your back might tight. Or your neck might get tight. You need to go get a message or you go and do Yoga. So there's some elements of that already, but he basically put it into more scientific form and a way to try to expel this emotional energy, or whatever, out of your body. I know it sounds crazy, but I basically read this book and I thought it was the most hokey thing. It takes a week to read it. It's really, really short. I read it and literally a week later I did not have carpal tunnel or any repetitive stress injury. Dennis Fong: It blew my mind. It literally blew my mind. It's called The Mindbody Prescription by Dr. John Sarno. Eric Siu : I'm gonna Amazon one-click that. Dennis Fong: I tell everybody about it because anyone that actually knows me knows I'd be the last person to believe any kind of hokey thing like this. But you read the book and you just follow ... It's kind of like having a psychotherapist basically. And it totally worked and I've introduced it to a bunch of people and it totally worked for them too. Dennis Fong: Yeah. I was googling it because I mean literally I ... So there was a period of, I don't know I want to say five years, where I barely played any games. And the reason I barely played games was because I was in too much pain. But I would still do it. Imagine this, I would not play games for I would call it nine months. I'd play one game of League of Legends for an hour and I'd have raging pain down my forearms for the next month. It didn't make sense to me. I would say, "What the F?" Again I tried everything. Acupuncture, acupressure, whatever. And I started googling stuff and reading blogs and I think it was the CEO of NetApp had a blog where he wrote about this book. And he similarly was afflicted with this and he came across this book. He realized that it was in times of stress that he had massive carpal tunnel. He came across this book. He read it and then it changed his lifestyle. It's like, you know what screw it, I'm just gonna try it too. Eric Siu : That's hilarious. Dennis Fong: I swear to God it worked for me. Today I have zero pain. It's amazing. Eric Siu : Love it. Cool man. Well, I think that's gonna be life changing for everyone. If there's one thing to do form this podcast, just get that book. But Dennis, this has been great. What's the best way for people to find you online? Dennis Fong: You can hit me up on Twitter. I'm just @thrush, T-H-R-U-S-H, on Twitter. Eric Siu : That's it? Nothing else? No email? Eric Siu : All right. Cool. Dennis, thanks so much for doing this. Dennis Fong: All right. Cool. Thanks for having me. Speaker 2: Thanks for listening to this episode of Growth Everywhere. If you loved what you heard, be sure to head back to growtheverywhere.com for today's show notes and a ton of additional resources. But before you go, hit the subscribe button to avoid missing out on next week's value-packed interview. Enjoy the rest of your week and remember to take action and continue growing.